NEW YORK, NY – Highly visible events—from Michael Brown in Ferguson, Missouri, to Eric Garner in Staten Island, New York; from Sandra Bland in Texas and Stephon Clark in California to Philando Castile in Minnesota—have served to elevate public awareness of disproportionate and unjustified police violence against black people. These tragic examples are representative of the disparities present in the justice system that undercut the life potential of people who live in communities of color. The ways in which the criminal justice system operates to disadvantage black people are systemic and ingrained, and often subtle. 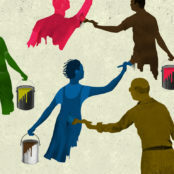 A new evidence brief from the Vera Institute of Justice, An Unjust Burden: The Disparate Treatment of Black Americans in the Criminal Justice System, presents a summary of research demonstrating how America’s history of racism and oppression continues to manifest in the criminal justice system and perpetuates the disparate treatment of black people. This evidence brief comes at a time when the conversation around our country’s fraught history of violence and discrimination against black communities is receiving national attention. "The racial disparities that exist at each and every juncture of the justice system are significant and indisputable. But the reasons behind these disparities are complex and demand deeper understanding”, said Nicholas Turner, Executive Director of the Vera Institute of Justice. “They are rooted in a history of oppression and discriminatory decision making that has deliberately targeted black people; in a false and deceptive narrative of criminality; in implicit as well as conscious bias; in the legacy of structural racism and segregation. We believe that we must reckon with the deep body of evidence of bias that has caused black communities to become over-incarcerated, overpoliced, impoverished, and burdened with generational suffering. That's why this brief, which corrects the record, is so vital for this particular moment in time." 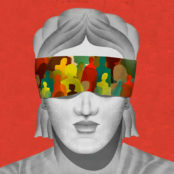 Bias by decision makers at all stages of the justice process disadvantages black people. Studies have found that they are more likely to be stopped by the police, detained pretrial, charged with more serious crimes, and sentenced more harshly than white people. For example, a 2004 study found that when police officers were asked “who looks criminal?” and shown a series of pictures, they more often chose black faces than white ones. Also, a 2013 study found that federal prosecutors are more likely to charge black people than similarly situated white people with offenses that carry higher mandatory minimum sentences. The notion of “black on black crime”—recently invoked to counter #BlackLivesMatter protests of police shootings of black men by suggesting that the actual problem is black men shooting each other—is not borne out by statistics. A report from the Bureau of Justice Statistics found that most violence occurs between victims and offenders of the same race, regardless of race. The rate of both black-on-black and white-on-white nonfatal violence declined 79 percent between 1993 and 2015. The number of homicides involving both a black victim and black perpetrator fell from 7,361 in 1991 to 2,570 in 2016. Living in poor communities exposes people to risk factors for both offending and arrest, and a history of structural racism and inequality of opportunity—including de-industrialization, red-lining, and white flight from neighborhoods—means that black people are more likely to be living in such conditions of concentrated poverty. Twenty-two percent of black people lived in poverty in 2016, compared to approximately 9 percent of white people. 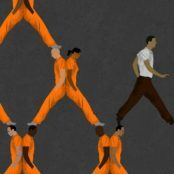 The widening reach of the criminal justice system in low-income communities of color further depletes resources and social capital in these places, perpetuating a tenacious cycle of poverty and criminal justice involvement. Discriminatory criminal justice policies and practices have historically and unjustifiably targeted black people since the Reconstruction Era to capitalize on a loophole in the 13th Amendment that states citizens cannot be enslaved unless convicted of a crime. Black Codes, vagrancy laws, and convict leasing were all used to continue post-slavery control over newly-freed people. The high arrest and incarceration rates of black Americans based on these racist policies deeply informed national discussions about racial differences that continue to this day. A 2010 study found that white Americans overestimate the share of burglaries, illegal drug sales, and juvenile crime committed by black people by approximately 20-30 percent. This discrimination continues today in often less overt ways, including through disparity in the enforcement of seemingly race-neutral laws. The “War on Drugs,” for example, inspired policies like drug-free zones and habitual offender laws that produced differential outcomes by race. In Massachusetts, a 2004 review of sentencing data showed that black and Latino people accounted for 80 percent of drug-free zone convictions, even though 45 percent of those arrested statewide for drug offenses were white.